From the collection of Davis Johnson. 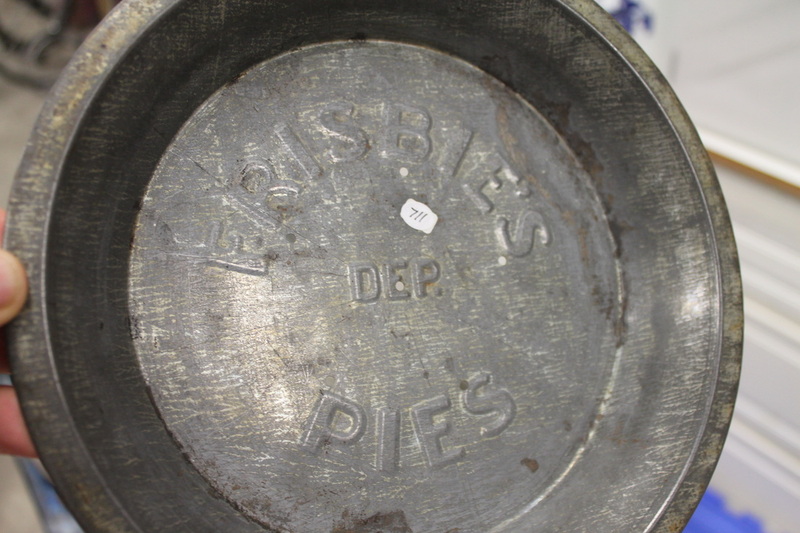 Pie Carrier, from the collection of Mark Daniels. 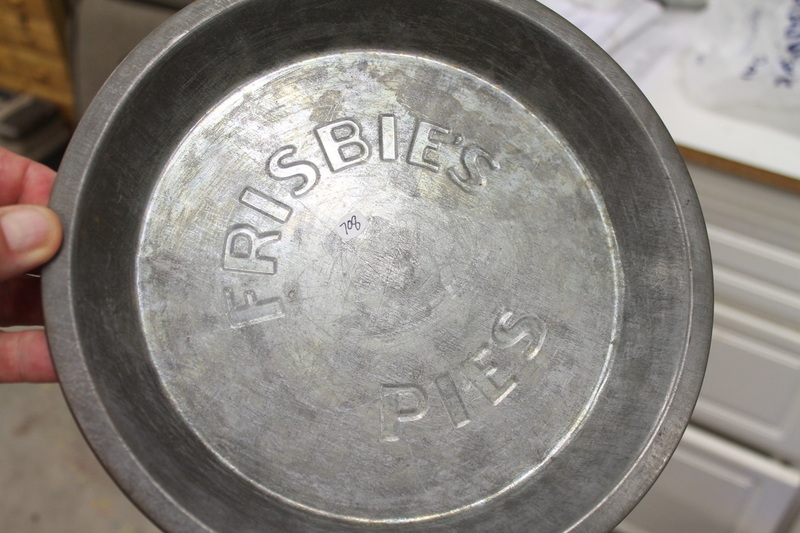 Pie safe, from the collection of Mark Daniels. 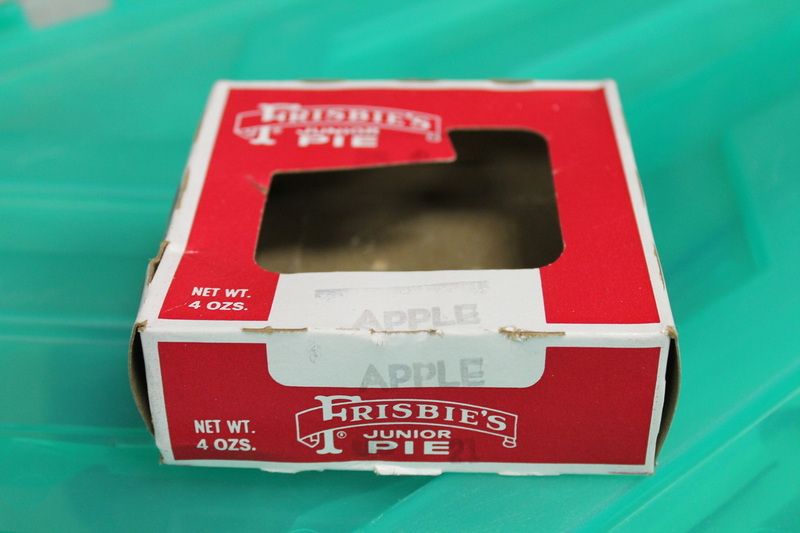 Note the Frisbee Pie server in the case! 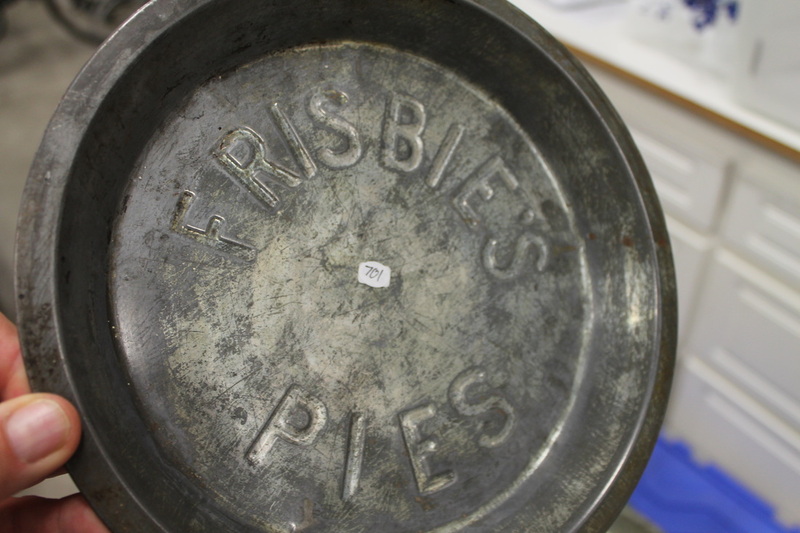 Metal pie safe from the collection of Mark Daniels. 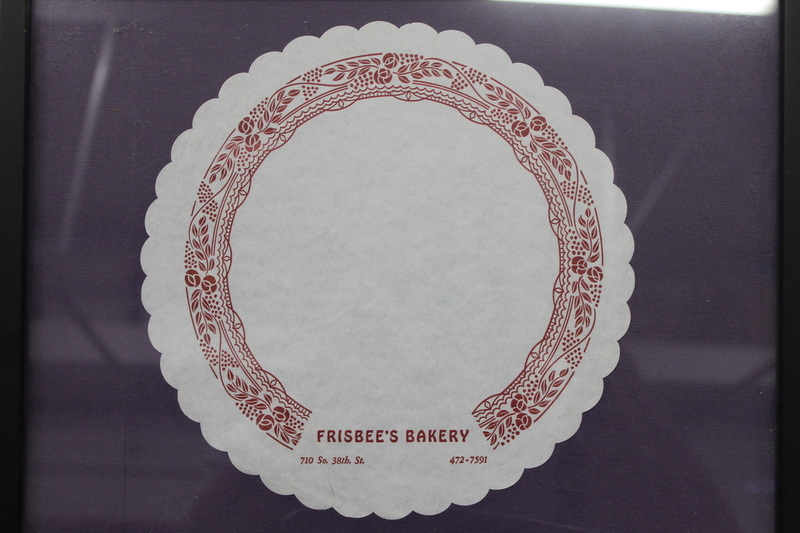 This Cascading Frisbee Pie Rack has had the upper part of the rack bent down & the sign turned around so that the sign could be seen through a window, from the collection of Dan Mangone, value $1000. Other side of rack, Dan Mangone collection. 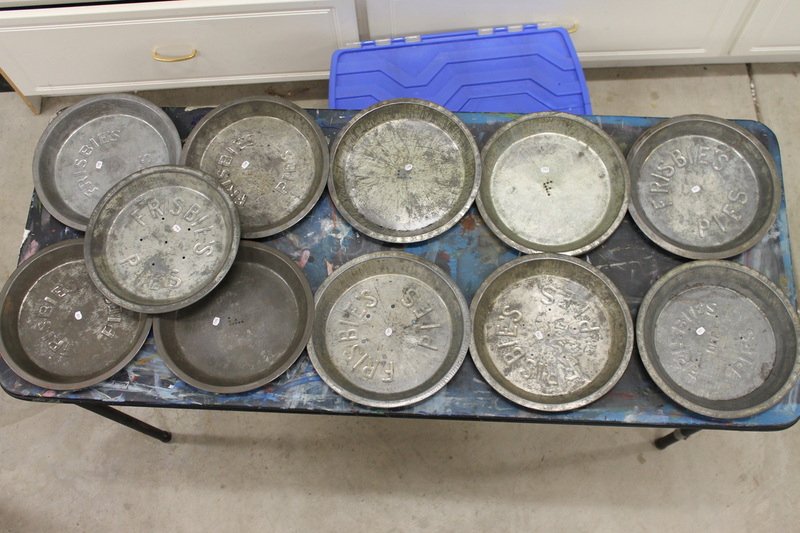 Small sunken lettering 6 holes. Small lettering ( raised ) DEP. star holes ( 6 ) pattern. Large lettering ( sunken ) no holes. Small lettering ( sunken ) no holes. 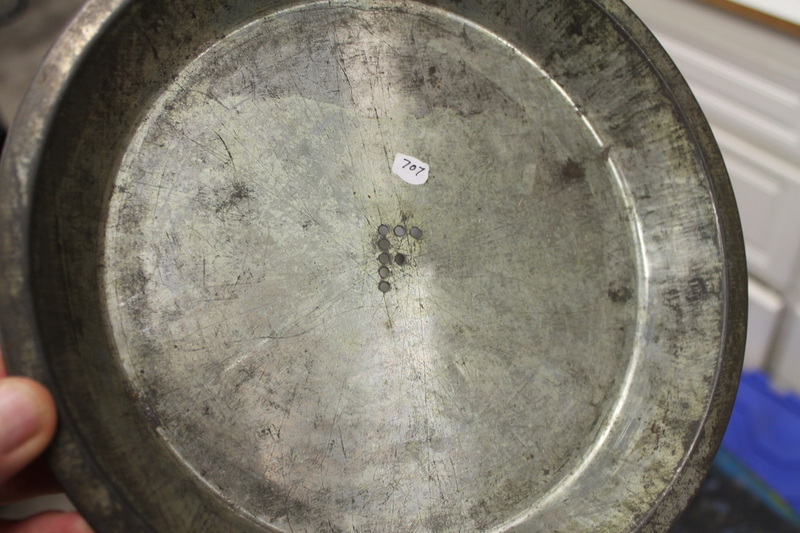 Large letter ( sunken ) circle holes ( 6 ) pattern. 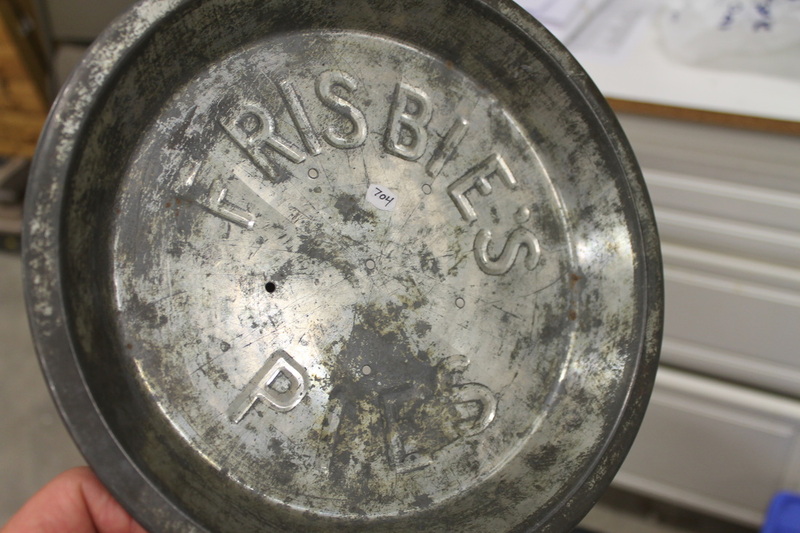 People threw pie tins all across america, Wham-o got the name for Fred Morrison's Pluto Platter and called their flying discs Frisbee, not the change in spelling. 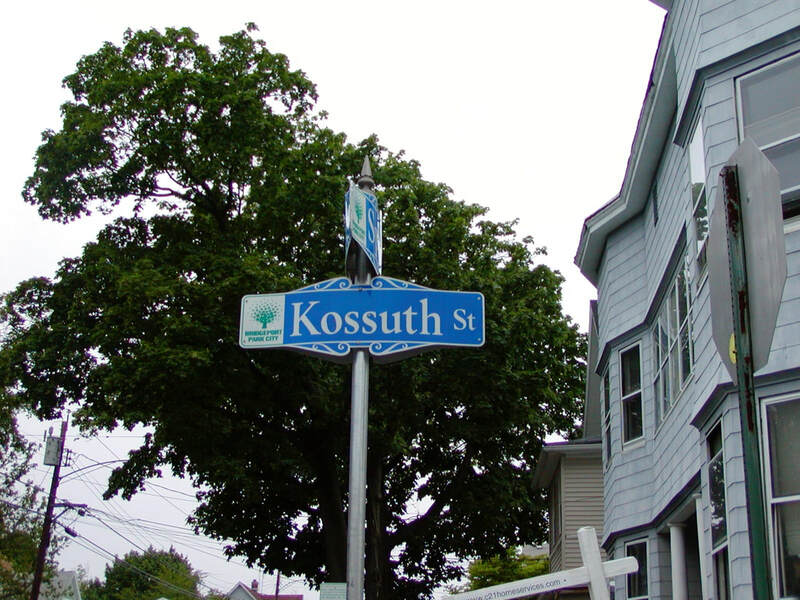 The street where the pie co was!, I found it !